ALL NEW MATTRESSES FOR THE 2019 RENTAL SEASON! 4 bedrooms, each with sliding glass doors opening to deck. 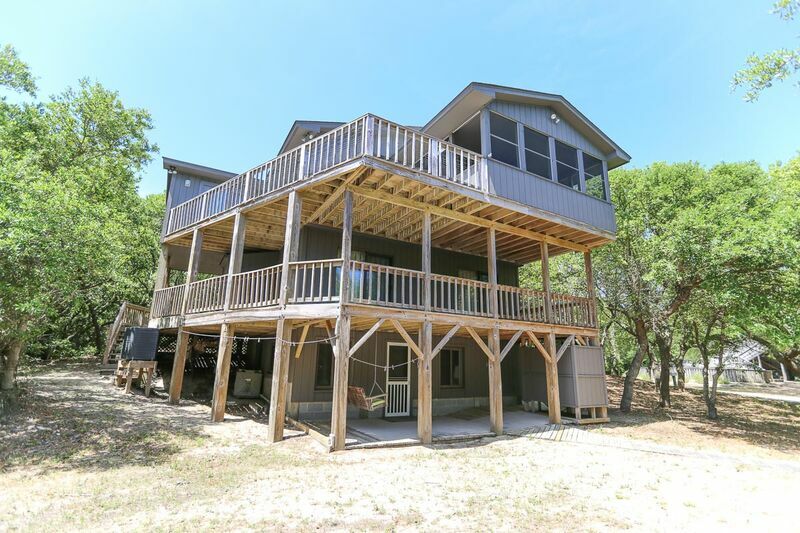 2,200 plus square foot living area, plus over 1,300 square feet of sun and covered decks. 270 yards to beach access. Furnished recreation room with TV and VCR/DVD player, laundry room and half bath. 3 bedrooms (1 with Queen and Twin, 1 with Queen, 1 with Twins), 2 baths (1 with tub and shower), covered decks and sundecks. We thouroughly enjoyed staying at Pittport! It was a friend reunion and we had lots of laughter and great memories! We are going to make our friend beach week a yearly tradition. We love the OBX!